Last Summer Wine writer and blogger Natalie Maclean launched the Great Canadian Wine Match. Great Canadian wines featured across the country. I was thrilled to be asked to participate and even more thrilled to learn my nomination won in the chicken category. It was Clos Jordanne Le Grand Clos Chardonnay. It is one of my ultimate treat wines and one of my favorite chicken wines. 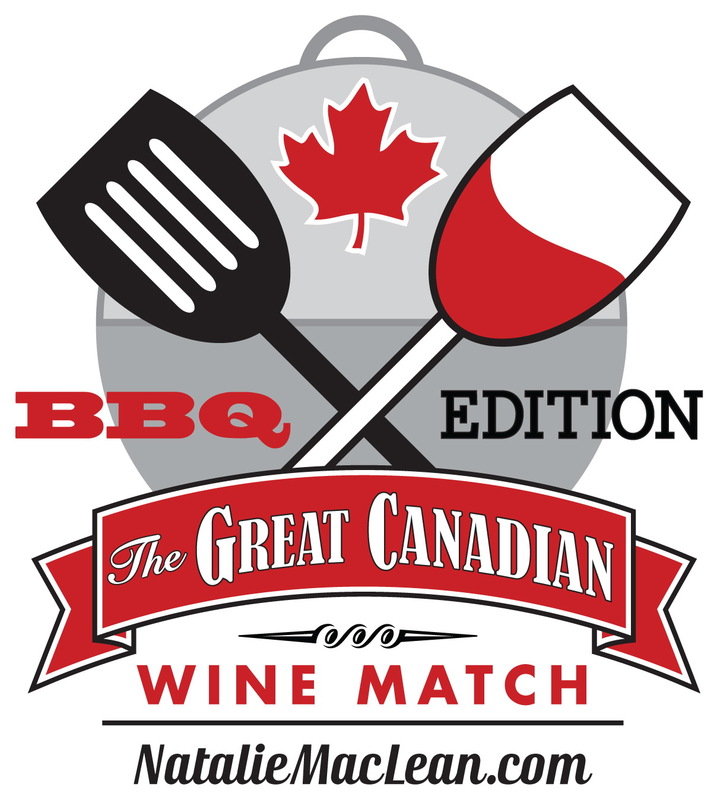 Recently, Natalie has launched the BBQ Edition of the Great Canadian Wine Match, featuring wines under $25. You can vote for your favorite wines here. Now I pride myself on being a bit of a Grilling Queen, and have called myself the Grilling Queen of both Newfoundland and Nova Scotia. I BBQ on average 4 times per week. I love it. I have a beautiful patio that over looks the water, and I am there with my glass of wine in hand, some great tunes, and great food. So I wanted to take this opportunity to encourage you to vote, and to share a little information on the wines I have nominated. I love a Chardonnay with chicken, but I also love Pinot Noir. 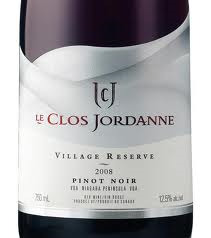 And because we had to keep it under $25, this summer for chicken I nominated Le Clos Village Reserve Pinot Noir. I just love how Sebastian Jacquey makes wine, and Pinot Noir is so food friendly, it goes with everything, especially chicken. It reminds me of a beautiful expression of a Burgundian Pinot Noir with its subtle fruit and spicy flavors. Please go on and vote for this wine now. Here’s the wine I have nominated for best BBQ pork. I love a good Merlot with BBQ pork, whether it’s a stuffed pork tenderloin or chops on the grill. Gorgeous flavors of rich dark fruit, chocolate and spice. A very sophisticated Merlot. I am in love with Merlot wines from the Okanogan region of British Columbia. They are making some very fine Merlot wines. I didn’t nominate a wine for beef because one of my favorites was already taken. It is the Burrowing Owl Cabernet Sauvignon. I still have one left in my wine rack, as we have to bring the wine in from BC. It’s very good, and nominated by Jim Coady out of P.E.I., so go on and vote for that one as well. I’m leading in this category for the region, so get on and vote now! 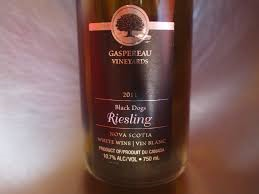 LOL In the category of vegetables, I nominated the Gaspereau Vineyards Riesling from right here in Nova Scotia. This is a darling of a wine, with gorgeous vibrant flavors. The lime, citrus and green apple flavors come alive in the glass and make it a perfect counterpart for vegetables. This is also one of my favorites to go with Indian and Asian cuisine. There’s also another beauty nominated, that if I don’t wine the category, I hope the Nova 7, also from Nova Scotia wins. I love this effervescent beauty. The flavors of orange zest and honeysuckle make it perfect for summer time patios as well. Now my family and friends are going to surprised if they go on to vote, to see me nominate a wine for fish. I am allergic and can’t eat fish. However, in my training to become a Sommelier, we spend a lot of time on food pairings. Recently I had a wine tasting with winemaker Howard Soon from Sandhill, and I got to try this Viognier. 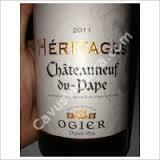 I love a Viognier with roast turkey as well, but this would go well with the oily fishes too. Honeyed peach and crisp grapefruit flavors have this beautiful Viognier wine come to life. Another wine is in the lead for the Atlantic region, and that is the Luckett Vineyards Ortega, also out of Nova Scotia. I have a bottle of this wine in my wine rack, but haven’t had the opportunity to try it yet. Adam Bower out of Nova Scotia nominated the wine, and I’m sure this man knows a thing or two about seafood. I couldn’t nominate one of my favorite Canadian dessert wines in the category, because it’s over $25. But so worth it. It is the Borealis Ice Wine from Benjamin Bridge, and it is heaven in a glass. Rich flavors of honey and sweet apricot make this the perfect after meal dessert all on its own, or the perfect accompaniment with your favorite dessert. Personally, I like this wine as the dessert. No chocolate necessary. Because I couldn’t nominate Borealis, I have been voting for its sister. Nova 7. The perfect balance of sweetness and acidity will make it a winner in this category I’m sure. You can vote in each category once a day, and its fun and interesting to see the different wines. This is a fun wine match, so please, I encourage all of you to participate. I have been reading a lot about organic food lately, and I get asked about organic wine quite a bit. Everyone is trying to eat as healthy as they can, and we are reading about how organic is not only healthy for us, it’s healthy for the environment and it’s just all around good. So it just makes sense, as a Sommelier in training, that we get asked about organic wine quite frequently. Organic wine is made according to organic farming principles which typically is grown without the use of artificial pesticides, herbicides or fertilizers. Legal definitions can vary from country to country. And because grape growing is the farming of grapes, it makes sense to have guidelines in place. There is a lot of information out there, and here is a website that I found to be very informative. http://www.organicconsumers.org/Organic/OrganicWine.cfm Here is a link to an article called ‘Clearing up the Confusion on Organic Wine’ and it’s very good. And many of you may not know that many wines from Chile and Argentina are grown without pesticides. The vineyard pests like Phyloxxera never survived in Chile and was caught so quick in Argentina, that many vineyards do not have to use pesticides. And although they are not labeled organic, many of your favorite wines could be grown with less pesticides, and that’s becoming a very important issue in the food world as well. Here’s a delicious wine from Oregon that is certified organic. Sokol Blosser Pinot Gris. I should tell you that all of Sokol Blosser’s wines are organic because the entire vineyard has certified organic status. This gorgeous wine has apple, fig, and spicy notes that would go hand in hand with your favorite Vegetarian dishes. I also like this with salads and Asian cuisine. 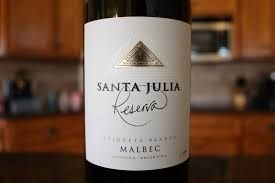 Santa Julia is the largest family owned vineyard in Argentina and half of the vineyard is certified. The Chardonnay on the left is certified organic and is a delightful medium-bodied dry white wine with apple and pear flavors. The Malbec on the right is not certified organic to the best of my knowledge, but is a very tasty red and you know the vineyard practices are top notch. Spicy romantic flavors in this Malbec make it a great red wine that goes with just about everything. And from right here in Nova Scotia, here’s a local favorite. L’Acadie Vineyards L’Acadie Blanc. 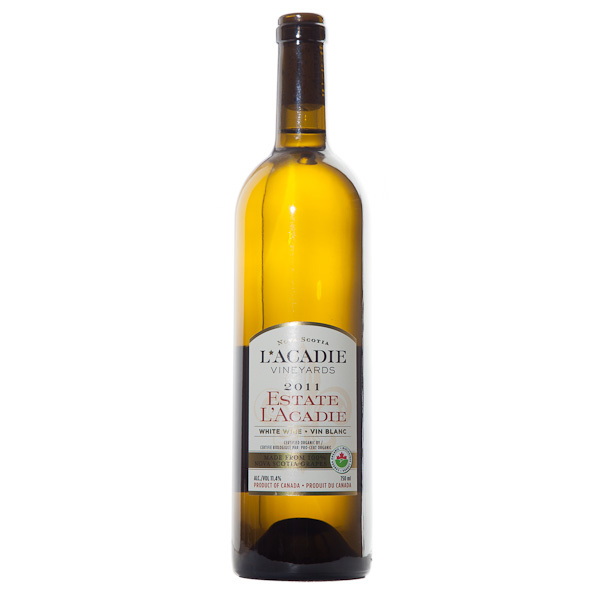 For those of you not familiar with L’Acadie Blanc, it is a Canadian wine grape variety that is a hybrid of Cascade and Seyve-Villard 14-287 and is often referred to as ‘Nova Scotia’s Chardonnay’. 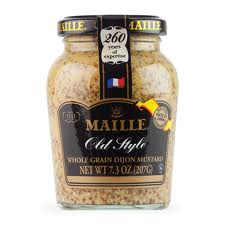 This crisp light version with citrus flavors is a local favorite for lobster, seafood, and oysters. Would love to hear what your favorite organic wine is! So here in Canada we have a long weekend this weekend, it’s the Victoria Day Weekend. Next weekend, our friends in the United States celebrate the unofficial kick-off to Summer. And yes, I’m wearing white pants. I love a long weekend and it’s sunny and 21-degrees today and I love that too. So this is the weekend for BBQ’s and wine. And here are a few wines you could enjoy on your long weekend. So here’s the wine I kicked off my Long Weekend with. 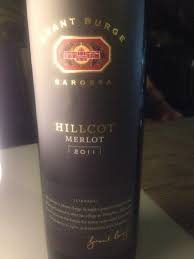 Grant Burge Hillcot Merlot, I had the 2011. It went perfectly with my barbecued chicken, but I also enjoyed it while grilling. It was smooth, aromatic with ripe fruit like raspberries, and on the palate all those gorgeous plum and cherry flavors. Easy to drink and the oak was well-integrated and not over-powering. This wine is from the Barossa Valley in Australia, and apparently Grant Burge was somewhat of a pioneer with Merlot in Australia. It’s probably my first Merlot from Australia, but it won’t be my last, it also won’t be my last Grant Burge wine, I was very impressed. Here’s another wine I’ve had recently. Now it was a gift from some very good friends, and a gift it was. It was a treat wine, so a little on the pricey side, but we all have special occasions that we are looking for a special wine and Chateauneuf du Pape is definitely a special wine. I love the story of Chateauneuf du Pape. Back in the 1300’s the Pope was Pope Clement V, who was the former archbishop of Bordeaux. Needless to say our Pope loved his French wine, especially those of Bordeaux and Burgundy. The next Pope, John XXII, also loved his wine, and because of that wine in this certain region of the Rhone, became known as Vin du Pape, what we now know as Chateauneuf du Pape. Pope John XXII also erected the Castle that is the famous sign for the Chateauneuf du Pape appellation. I don’t know if there is a wine that says quality and finesse like Chateauneuf du Pape. Probably because there is no ‘bargain bin’ version of this wine, it still remains special. And we have our friend Robert Parker to thank for helping to promote this fabulous wine and giving it worldwide appeal. When you are drinking Chateauneuf du Pape, you’re drinking mostly Grenache. What I love about this one is the Syrah that’s added. It gives this wine a spicy and peppery edge with a hint of truffles that I just loved. This wine was smooth, yet complex and full of flavor. It will go with EVERYTHING! I love cold wine in warm weather. 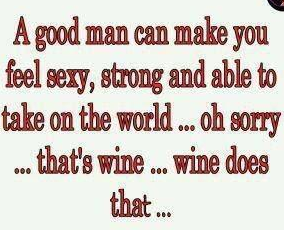 Which means as many white wines for me, as reds. Here’s one I’ve had recently that I just loved. Thomas Bachelder makes wine in Burgundy, France, Oregon and the Niagara region of Ontario. Thomas Bachelder is a wine icon and this Niagara Chardonnay is one of my new favorites. This complex wine has flavors of apples, pears, cinnamon, smoke and vanilla. 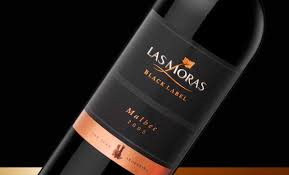 Now… picture this wine with my Sweet and Smoky Barbecued Chicken…. hmmmm.. this wine will go beautifully with any grilled chicken dish. This is the wine you’ll want to serve when BBQ’ing chicken this summer. Here’s my recipe for Sweet and Smoky Chicken… Again I apologize for no ‘exact’ amounts of each ingredient, it’s not the way I cook. Mix all those ingredients together and marinate the chicken for as long as you can. Set some aside to use as the sauce while grilling your chicken. ** Very important part. Pour yourself a glass of wine while you are grilling your chicken and enjoy. Life is good. 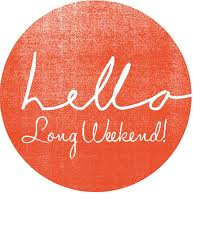 Till next week, enjoy the long weekend if you live here in Canada, and if you are a resident of the United States, I hope next weekend and every weekend is fabulous. What better way to celebrate Mom than with a good bottle of wine. After all, chances are, you are the reason she drinks. My mom loves wine… makes sense. She enjoys both red and white, like her daughter, however now she leans more towards Chardonnay. And here are a couple of my Mom’s favorite Chardonnay wines. 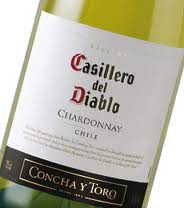 The Casillero del Diablo Chardonnay from Chile is Mom’s go to wine. Under $15, no one enjoys good value like a senior citizen. Ripe fruit, a little oak, and a well rounded well-balanced wine. Salmon, chicken and cheese are just a few of the foods begging for this Chardonnay. The Chardonnay on the right is out of Monterey California. A beautiful Chardonnay and one of my favorites. Mom just loves it when I buy this wine. 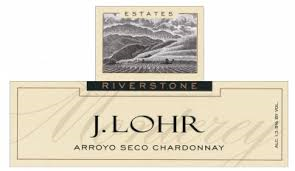 J. Lohr Chardonnay is almost a piece of art. With a process called ‘Malolactic Fermentation’, which gives a Chardonnay that creamy smoothness. Malolactic Fermentation is a process that removes the harsh malic acids from a wine and replaces them with the softer smoother lactic acid. So you get all that gorgeous fruits flavors of apples and pears and the vanilla toastiness from the process and really good oak barrels from France, America and Hungary. I love finding good deals and sharing them with you. This is my latest. It’s under $15, yep, that’s not a typo. 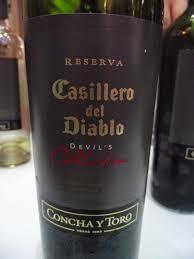 It’s the Casillero del Diablo Devil’s Collection from Conchay Toro in Chile. (Say that 3 times really fast!) This is a blend of Cabernet Sauvignon, Carmenere and Syrah. Hello BBQ. I don’t live in the same province as my mom, but I’m having my sister and her family over for Mother’s Day and I’m doing the cooking. Well, I’m doing the grilling. I don’t mind saying it, I am the BBQ Queen of Nova Scotia. And this will become a staple in my wine rack. You don’t need a special occasion to drink this wine. At $14.95 a bottle you can crack open a bottle any night of the week. It’s full-bodied, well structured, spicy, peppery and flavorful. You can tell by the blend of the three grapes that this is a beauty with a BBQ . On their own, all 3 go great with BBQ foods…. now just imagine all 3 together. Devil’s collection? More like heaven! Another red wine that will go with just about anything you serve for Mom on Sunday is a nice juicy Merlot. These are two that I have had recently and they are both out of California. Both are under $25 and both are beautiful. 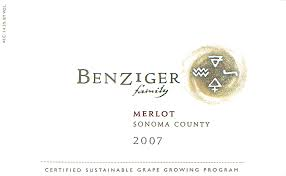 The Benziger sold out of my favorite Liquor Store, that’s how good it is. Subtle, rich with gorgeous spicy notes. 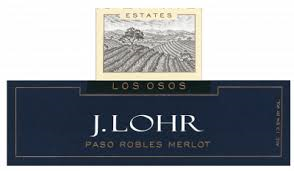 The J. Lohr is a little more full-bodied, still just as juicy and flavorful and on both wines the oak is so subtle, it doesn’t over-power anything. Yesterday, a colleague at work, told me she hated Canadian wine. Before I could open my mouth, she said ‘you’re going to disagree with me’. Yes, I am. To say you don’t like Canadian wine is saying you don’t like Cabernet Sauvignon, Merlot, Riesling, Chardonnay and many more. There is more to Canadian wine than Ice Wine. There are some beautiful Canadian wines being made and today I’m going to ask you to get over your stigma about Canadian wine and try one. I have a few recommendations. Let me introduce you to one of the nicest winemakers you will ever meet. 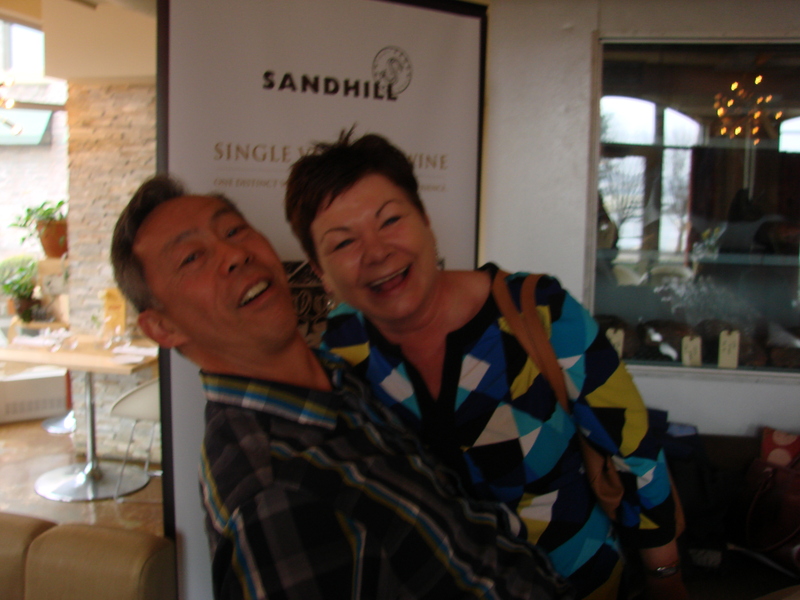 Howard Soon has been chief winemaker at the gorgeous Sandhill winery in the Okanagan of BC since 1997. He’s not only a nice guy…. he makes fabulous wine. 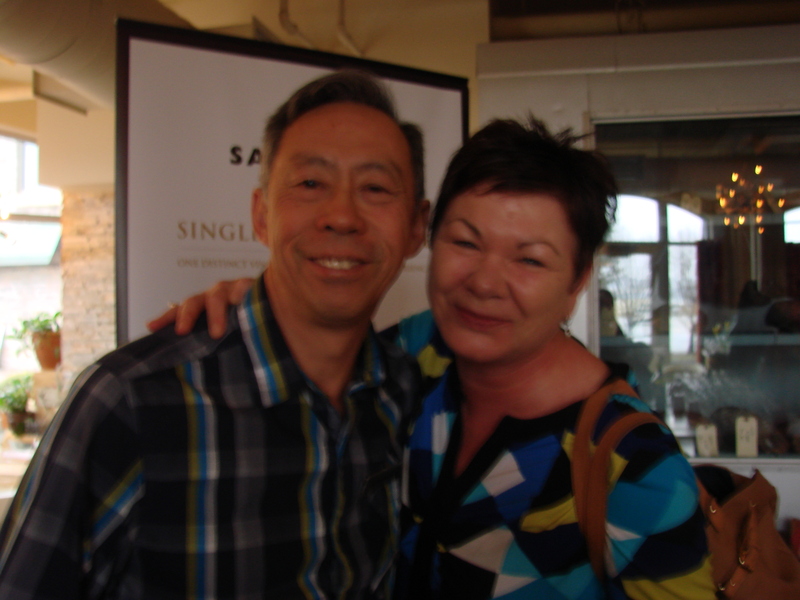 I had the opportunity to meet him recently and sample some of the fantastic wines from Sandhill. I also liked how he told us of the relationship with the growers, and how important it is. 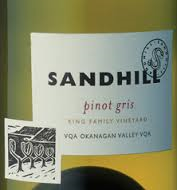 Two of the wines I tried that day was the Sandhill Pinot Gris. This beautiful crisp and fresh Pinot Gris will be a summer favorite for me. I loved the flavors of melon, pineapple and peach blossom. Perfect acidity and well-balanced, this wine would pair so well with seafood, pork and chicken just to name a few. 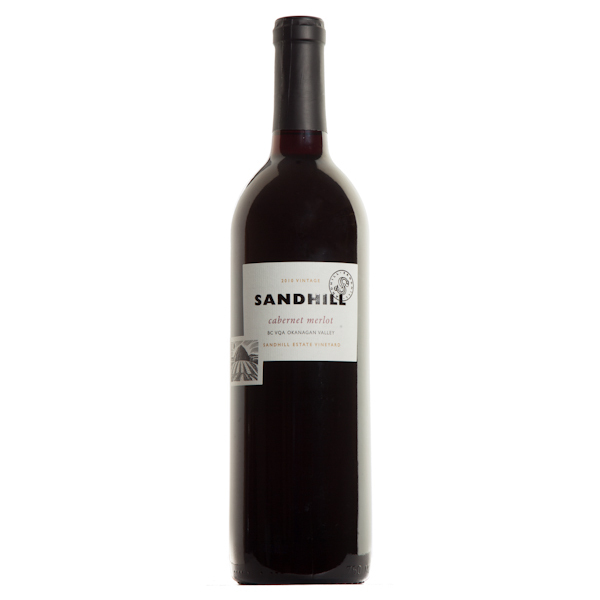 One of the reds from Sandhill I tried that day was the Syrah. I love a good Syrah, and this had gorgeous aromas of cedar, spice, and vanilla. Velvety tannins and a smooth finish would make this wine welcome at any BBQ you plan to have this summer. 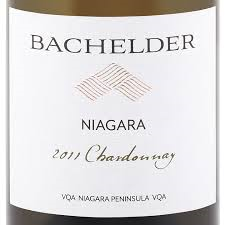 Another beauty I have had recently, studying Canadian wine in my Sommelier training is the Bachelder Chardonnay. Thomas Bachelder is another icon in the wine industry and does a beautiful job on this full-bodied rich Chardonnay. Apples, pears and mineral notes make for a complex and tasty Chardonnay. Any chicken dish you serve will stand up on the plate and ask for this wine. Pinot Noir, as many of you know, is one of my favorites. This is a cool climate grape, and if there’s one thing Canada has a lot of, is cool climate. We have them ranging in price from $16.98, like this Inniskillin Pinot Noir from the Niagara region to the $83 price tag of the Clos Jordanne Le Grand Clos Pinot Noir. 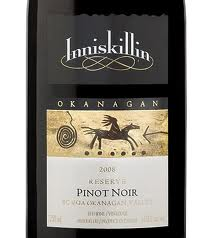 The Inniskillin Pinot Noir boasts of strawberry and plum flavors with a floral note, and when I lived in Newfoundland this bottle was a common sight in my wine rack. 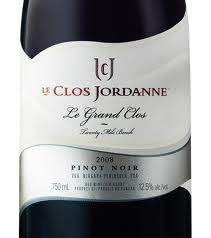 The Clos Jordanne on the right, also from Ontario, I think is one of the best Pinot Noir wines I have ever tasted and in my opinion, rank up there with some of the best Burgundian Pinot Noirs I have had the chance to taste. It’s elegant and flavorful with beautiful flavors of mashed strawberries, raspberry and roasted oak. Canada is putting out some first class Merlot, and here are two of my favorites. Both are from the Okanagan region of British Columbia. 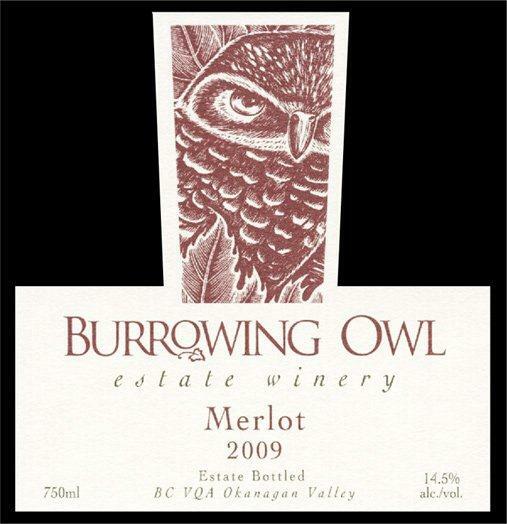 The Burrowing Owl Winery is spectacular and I order wine from this winery on a regular basis. The Merlot is gorgeous with plums, blueberries, sage, and other wonderful spices. 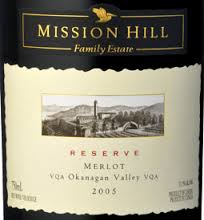 The Mission Hill Merlot is full-bodied, rich and supple with beautiful flavors of plums, spices and a hint of mocha. When you think of Canadian wine, and the first images that pop up are Baby Duck or fruit wine, then head to your favorite wine store and pick up a first class Canadian beauty. I guarantee you won’t be disappointed.